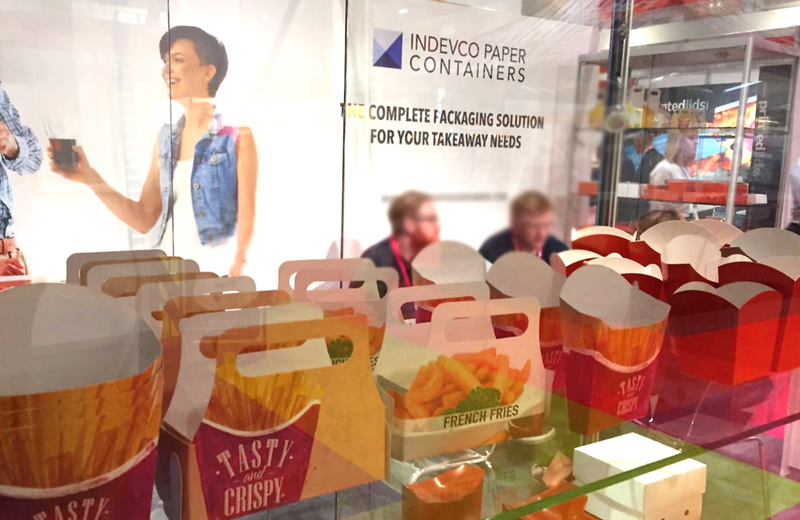 IPC member companies, ROTOPAK and UNIPAKNILE, recently exhibited their takeaway packaging solutions for the first time at the TAKEAWAY Expo – the UK’s only exhibition for the growing takeaway industry – in Excel, London, on the 26th and 27th of September 2017. ROTOPAK and UNIPAKNILE had a unique opportunity to connect with the UK and European prospects and to introduce their eco-friendly packaging line dedicated to food and drink on the go. The two day event enabled both companies to display a food approved packaging line with a wide range of capabilities for the catering and takeaway industry – ranging from hot food boxes to salad and meal combo boxes, and from standard pre-printed design boxes to customizable boxes that fit any demand. ROTOPAK and UNIPAKNILE are members of INDEVCO Paper Containers, a division of INDEVCO Group. Established in 1995, ROTOPAK is a leading provider of customized, sustainable paper packaging products, including paperboard, corrugated board and flexible packaging. Established in 1996, UNIPAKNILE is a market leader in supplying sustainable paper-based packaging.